Cotton, towels, and linens can withstand tumble drying with high heat. For most other fabrics, use medium/low heat or line dry. 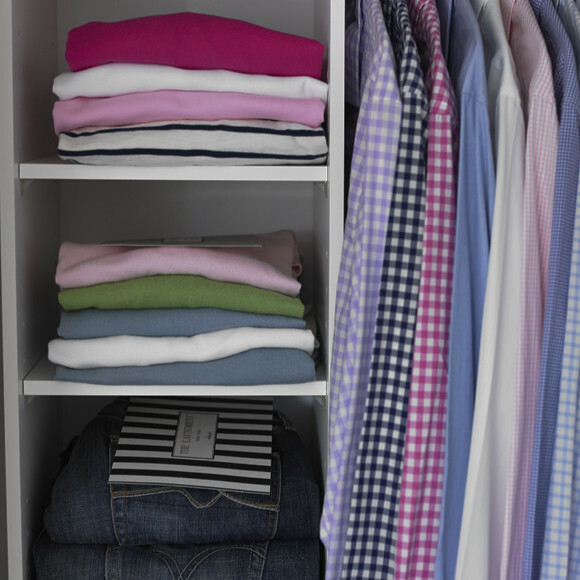 To ease ironing, remove from the dryer while still damp or line dry. 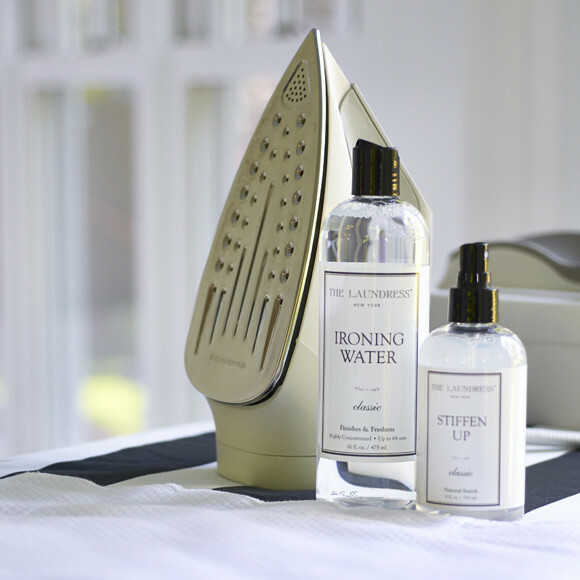 For the ultimate fragrant finish, use Ironing Water while steaming or ironing. Spray with Stiffen Up when ironing for a crisp finish and added wrinkle and stain resistance. To freshen between launderings, spritz with Fabric Fresh Classic. Treat stains with Stain Solution or the Wash & Stain Bar. Focus on susceptible areas such as underarms, necklines, and cuffs. Stain Solution is ideal for protein and tannin stains, such as wine, coffee, ink, grass, urine, blood, and old, set-in stains such as pit stains. The Wash & Stain Bar works the material to remove dirt, grease, oil, and makeup. To remove odor, presoak the item for 30 minutes in tepid water mixed with ¼ cup of Scented Vinegar. We recommend washing cotton and linen items in hot water. Wash all other fabrics in warm water. 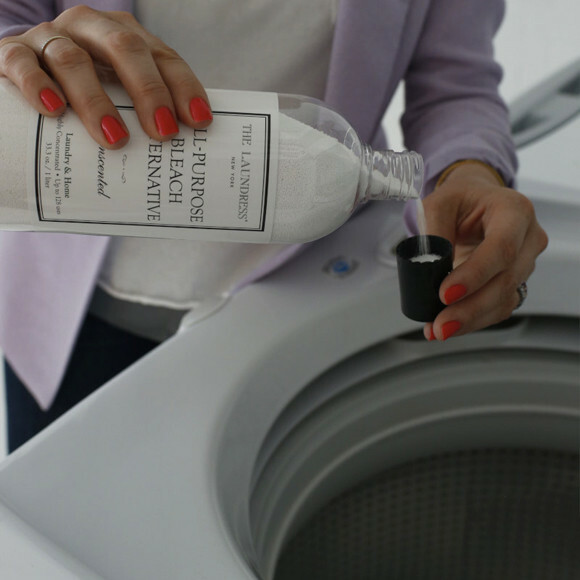 Add the appropriate amount of Whites Detergent according to the machine and load size. Wash with like colors and materials only. We recommend washing sheets and towels separately from clothing. To maintain whiteness and brightness, add 1 capful of All-Purpose Bleach Alternative to each load in the wash cycle. Be sure to use hot water to activate. Eliminate static, prevent wrinkles, ease ironing, and keep clothing soft with Fabric Conditioner Classic. It is best used with every other wash.
Lay the item flat in its natural shape on a drying rack or hang to dry, or tumble dry on the low setting. 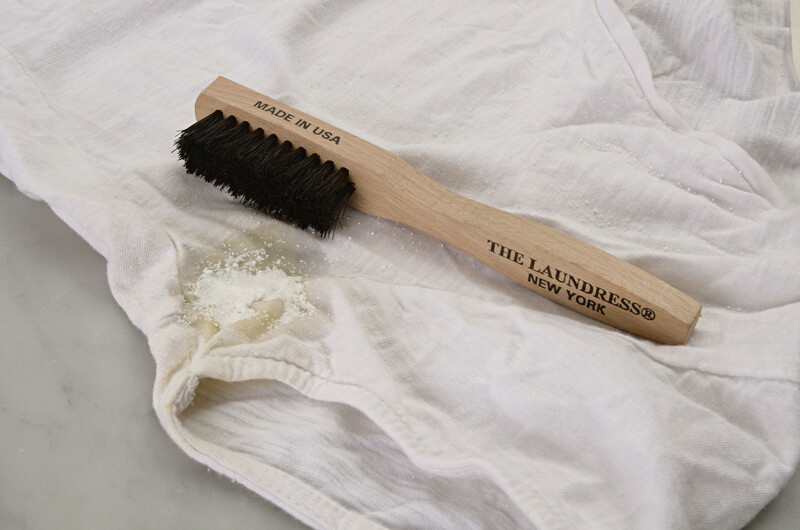 To remove wrinkles, we recommend steaming for the best and safest finish. To iron, hover over the item using the steam setting, or press using the lowest temperature setting. We know how hard it can be to keep your whites white. Fight dull, dingy-looking T-shirts, yellowing sheets, and other lacklusters with our knock-your-socks-off Whites Detergent. Safely brightens colors, too! Our start-to-finish laundering collection is scented in Classic, the ultimate “clean laundry smell,” blending lily of the valley and jasmine with sweet musk, sandalwood, and a touch of citrus.